Smart thinking and persistence make all the difference. 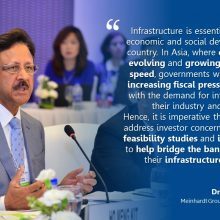 As Group Chairman, Dr. Shahzad Nasim is involved with the Group and works closely with the Management team to oversee the performance of all Meinhardt offices across the globe, client management and providing input to all the major projects undertaken by Meinhardt Group. Dr. Nasim’s career as a Professional Structural Engineer spans more than four decades. He is responsible for the overall coordination of multi-disciplinary professional teams, leading the conceptual designs and overseeing the detail design and constructions of major and complex projects undertaken by Meinhardt. 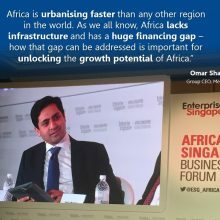 He has built a regional reputation for providing highly innovative, buildable and cost-effective solutions for tall buildings and complex infrastructure projects. The projects led by Dr. Nasim include some of the landmark commercial offices, residential and retail and entertainment complexes such as The Dubai Mall (UAE), The Marina Bay Financial Centre (Singapore), The Sail @ Marina Bay (Singapore), One Raffles Quay (Singapore), OUB Centre (Singapore), The River (Bangkok) and Bank of China (Hong Kong). Dr. Nasim is regularly invited to speak at local and regional conferences and has numerous papers to his credit. He is also actively involved in educational, professional and statutory boards related to the construction industry. As Group CEO, Omar manages over 4,500 employees across 48 offices as well as to oversee the performance of all Meinhardt offices across the globe, client management, expansion and the diversification of the Group’s international business. Omar previously held the role of Deputy CEO and his responsibilities included overseeing the Group’s financial performance, investor relations, risk management, setting up the Water and Environmental division and heading the Group’s Middle East and Africa business. Prior to joining Meinhardt, Omar has had extensive experience in the financial services industry having worked as an investment banker and research analyst for two international banks in Singapore. W.H. has over 42 years of experience in the design, documentation and contract administration of engineering systems of various types of projects in Hong Kong, China, Australia and Overseas. He joined Meinhardt for more than 31 years and built the company from a 20-staff M&E consulting practice to the current 1000 staff multi-disciplinary practice. He spearheads the Meinhardt operations in China and had set up offices in Beijing, Shanghai and Shenzhen. He actively participates in engineering and institutional activities in Hong Kong and had been a HKIE Council Member; Chairman of HKIE Electrical Division; Chairman of HKIE Electrical Discipline Advisory Panel; Chairman of HKSAR Electrical Safety Advisory Committee and a member of HKSAR Energy Advisory Committee. Kok Siong is a Registered Professional Engineer (Civil) and an Accredited Checker practising in Singapore. He has more than 35 years of experience in the field of civil, structural and building engineering and has been involved in several high profile infrastructure projects in Singapore such as the new Downtown Line stage 1 to 3, Circle Line stage 4 and 5, the Central Expressway Tunnel and the Changi Airport MRT station. He was also responsible as the Principal-in-Charge of the Tuas Immersed Tube Tunnel, Bukit Panjang LRT, and MRT North-East Line Contracts 703, 706, 707 and 710. His involvement in the major building projects includes the Singapore Convention and Exhibition Centre, 50-storey PosBank HQ, 52-storey Treasury Building and Jurong Point Shopping Centre. Reuben has over 36 years of experience in managing and engineering large-scale building and infrastructure developments and has been involved in many substantial projects in Hong Kong, Macau, Mainland China and United Kingdom. He is in charge of all structural, infrastructural and environmental business for our China offices and has set up the Group’s Advanced Technology R&D arm. He is also an adjunct professor for the Hong Kong Polytechnic University in Civil Engineering. Reuben had been the President of Hong Kong Institution of Highways and Transportation, President of the Hong Kong Institution of Engineers, Chairman of Hong Kong Association of Consulting Engineers, Chairman of Professional Green Building Council, Council Member of UK Institution of Structural Engineers and Chairman of UK Institution of Highways and Transportation (HK Branch). In addition, he served on many HK Government Boards and Committees including Land and Development Advisory Committee, ICAC Corruption Prevention Advisory Committee, Transportation Tribunal, Building Tribunal, Registered Structural Engineers Committee and Contractor Registration Committee etc. From New Zealand, John has more than three decades of experience in civil, structural and earthquake engineering as well as project management, backed by considerable multinational experience in Europe and Southeast Asia. As CEO of Meinhardt’s South Asia region, John has oversight of a broad swath of markets from Pakistan and India to Southeast Asia and is responsible for their growth and performance. 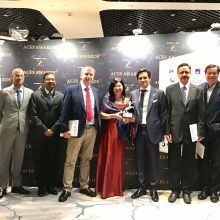 As Managing Director of Meinhardt Thailand, John founded Meinhardt’s Bangkok office, which has become one of Thailand’s foremost multidisciplinary engineering consultancies. John is fluent in the Thai language and maintains hands-on leadership to provide significant technical and management input in all of the office’s projects. Janos has over 30 years of career experience in technical development, team management, business leadership and project delivery within the broader engineering industry. With degrees in engineering, economics and management, Janos has been involved in a variety of high-value developments across Australia, the Middle East, Asia and the Pacific. Janos is in charge of identifying major project opportunities globally, the emerging trends in project procurement & delivery and developing strategies across the worldwide offices to build the organization’s capabilities to meet these challenges including the formulation of strategic partnerships, joint ventures and other forms of collaborative co-operations. His focus is on large scale and complex developments in challenging technical, legal and commercial environments across major key sectors including major urban infrastructure master planning, Smart City developments, air and land transport infrastructure such as airports, metros, rail, and complex, technologically advanced building projects. 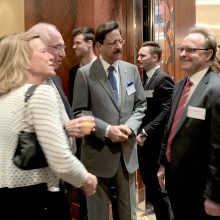 Janos was a member of the Board of Engineering at Engineers Australia in Victoria and is the Past Chairman of the Overseas Qualified Engineers Group. Francis has over 40 years of experience in planning and implementing multidisciplinary infrastructure projects in Hong Kong and the United Kingdom, including project management, feasibility studies and design of major railway and road improvements schemes in Hong Kong and China since the early 1980s. Francis is a fellow member of the Institution of Civil Engineers (FICE), Institution of Structural Engineers (FIStructE), the Hong Kong Institution of Engineers (FHKIE) and the Hong Kong Institution of Highway and Transportation (FHKIHT). He had been the Chairman of the Association of Consulting Engineers of Hong Kong, the Chairman of the Civil Division of HKIE, Council Member of the Institution of Civil Engineers, HKA, the Hong Kong Institution of Highway and Transportation, Member of Management Committee of the Centre for Innovation in Construction and Infrastructure Development (CICID) of the University of Hong Kong and is currently Member of the Infrastructure Development Advisory Committee of Hong Kong Trade Development Council, with particular focus on the Belt and Road Initiatives and the Great Belt Area. Ferdinand has over 30 years of experience in Electrical Engineering, Operations and People Management. 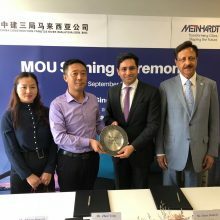 He worked in Meinhardt Singapore for 6 years and for the last 21 years in Meinhardt Philippines wherein he is presently the President and Managing Director of the Company. He is responsible for the management of multi-disciplinary engineering teams on a variety of projects including industrial, commercial and institutional buildings.